Lots of early sounds mixed with the new this weekend. Stay tuned for music from the medicine shows, lost provinces, gospel tents, swamps, bandstands, and digital playgrounds. We’ve got Sam Samudio, Shorty Godwin, The Seldom Scene, Shel Silverstein, and Tom Russell in our bi-weekly show broadcast live from the KOWS studios in downtown Occidental, a hamlet tucked into the redwoods along the Bohemian Highway in west Sonoma County. The drought is being beat down and, while we would welcome more rain, we’re hoping that it’s dispersed so that our neighbors can manage without threat of flooding. So we’ll flood you all with a fine collection of performances from the last century of America’s music. 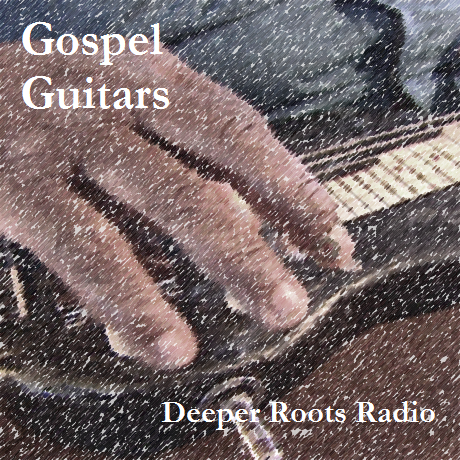 Our show this week will focus on the fire and brimstone of the gospel guitar, including the slide guitar of Blind Willie Johnson, the evangelists like Sister O. M. Terrell, the rhythmic sounds of the Two Gospel Keys, and we’ll also devote a large block of time to the sounds of that splinter genre ‘sacred steel’. While a number of bluesmen like Blind Willie McTell or Gary Davis would use the guitar for an occasional reminder of their faith or to play guest in tent revivals, many of the performers we’ll hear in our show this coming Friday on KWTF will show the best example of the use of guitar as an integral part of the church service itself. 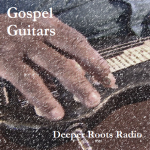 Join Dave Stroud for another evening of Deeper Roots. In my column today, I reflect a bit on how far we’ve come in our ability to communicate the performance of music. 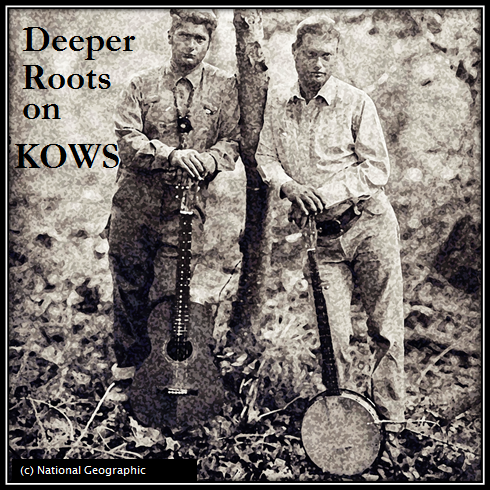 It’s what I like to do on my KOWS and KWTF shows, Deeper Roots: A Century of America’s Music. 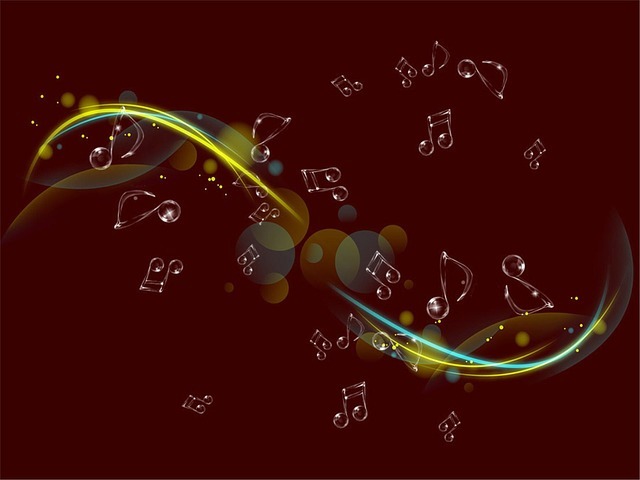 A continuum is defined by Webster’s as “a continuous sequence in which adjacent elements are not perceptibly different from each other, although the extremes are quite distinct.” Folk and popular music have fed off themselves since the early 19th century, each evolving from ancestral roots, primarily of either European or African descent. Our ability to communicate the song at the time was ‘mouth to ear’ in different ways: minstrelsy, churches, barn dances, front rooms, parlors and front porches. Printed music was also available in either scripted or shape-note form. We now find ourselves on the other end of that great continuum. It’s a digital world right now; a time when we are exposed to the music as our senses pressed up against a glass of light and sound. This is a relatively new mechanism, this notion of ‘writing a performance to paper’ so that it can be repeated the same time by mechanically etching it onto a disc for a Victrola or arranging, on a high speed sheath of magnetic film in a disc drive, the elements of signals in ways that we might have created a Wooly Willy face in our childhood. In their macro form they are mechanical processes, and there is little difference in their application. While some may perceive some great and technologically profound difference, someday it will be looked upon as pretty much the same because the two technologies can be described in one word: kinetic. One (vinyl) is spinning at 33 RPM and the other (disc), is spinning at upwards of 7200 RPM. Vinyl evangelists are no doubt correct that the feeling and depth of sound found in a record is very different than the CD or other digital form. But that discussion is for another time. I digress…what is important here is that, no matter the media used to transmit the performance, the opportunity we are afforded is the ability to witness the evolution of the uniquely human form of communication: music. As we listen, we can hear the essence of the phrasings and verses, as well as the human factor of what was trying to be communicated at a particular time in human history. Tout simplement magnifique! 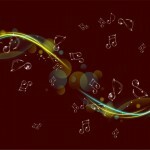 It’ s a yuletide blues, country, rock, and pop extravaganza. 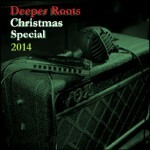 Deeper Roots celebrates the holidays with a selection of holiday hits from the past century. And we don’t necessarily stop there. 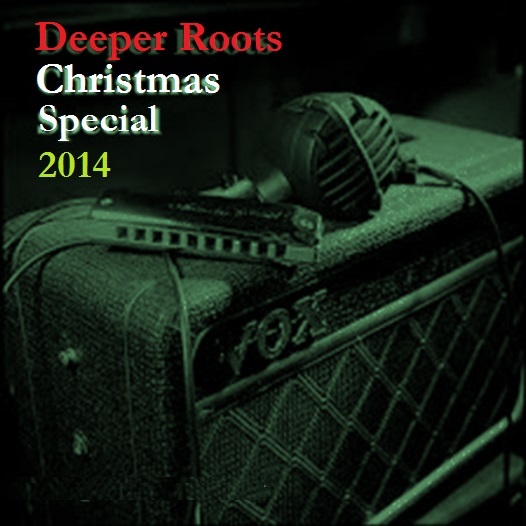 You’ll also be entertained by some very special blues and R&B numbers selected from the past, featuring selected tracks from an incredible assortment of holiday tracks featured on the Document Records releases “Blues Blues Christmas”, Volumes 1 through 4. Join Dave Stroud for music from Louis Armstrong, Butterbeans & Susie, Darlene Love, John Prine, and many, many more. 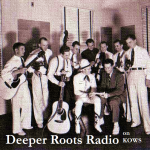 We’ve got a special Monday episode of Deeper Roots. The show originally broadcast live from the KOWS studios in Occidental, California, opens with some Light Crust Doughboys, fires up some modern country gospel from the Watson Twins and Johnny Cash, then goes for the jugular with a collection of Baptist-flavored gospel from Moses Mason, Mother McCollum, and Madam Edna…and that just scratches the sacred surface. The show also features the secular: jump blues from Jesse Price, jazz from Lincoln Center and Willie “The Lion” Smith. Had enough? You won’t. Be sure to check it out. 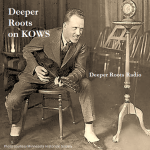 Our KOWS weekend show airs live every 2nd and 4th Saturday of the month, direct from the KOWS studios in Occidental. In this episode we feature the usual blend of roots music including the country sounds of Joe Maphis, The South Georgia Highballers, Lead Belly, The Levon Helm Band, and we’re going to be entertained by Emmy Oro and her 1950 piece “A Fish House Function (For a Cross Eyed Cat Named Sam)”. And, as usual, it’s so much about the personalities, the stories that the songs tell, as well as the stories behind the music itself. Join Dave Stroud for all of this and more. In contrast with the folk, blues, and urban sounds being played in the juke joints, ballrooms, and bars in the early century, there was another, much lighter fare being broadcast over the radio airwaves and being celebrated on the silver screen. It was something that was somewhat more benign in its message and certainly more palatable to the masses. It would be called ‘popular music’. But it is as arguably significant as any of the genres we think of as Americana or roots…because it too often shared a common thread of influence. 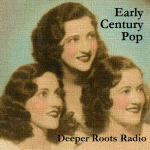 Deeper Roots marches through the pre-War sounds of Tommy Dorsey and His Clambake Seven, Cliff Edwards, The Boswell Sisters, The Ink Spots, and Eddie Cantor…to name only a few. As the country was still hung over from the Great Depression, the entertainment industry concocted a formula for music and message, painting an overly bright picture of a golden sunrise, reminding folks that “we’ve got a lot of what it takes to get along” even as the dark clouds of tyranny were beginning to spread over Europe. The music represented a sort of blissful ignorance. 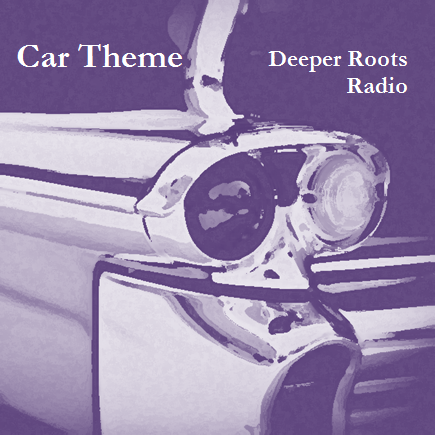 Deeper Roots takes the theme route in our next KWTF episode, featuring jazz, gospel, country, blues, rock, and R&B that all share the road with stories of that twentieth century cultural icon (and muse): the automobile. 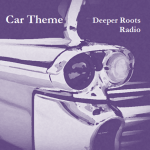 We’ll hear songs of Mercurys, Cadillacs, Fords, and Chevrolets that run the gamut of old and new and tell stories of love in the backseat, first car nostalgia, tragedy on the road, and racing in the streets. Performers in this show includeDavid Lindley, K. C. Douglas, Mink DeVille, Kevin Russell and others who will follow a theme that is one of the more common to come out of our age of assembly lines and the rust belt.